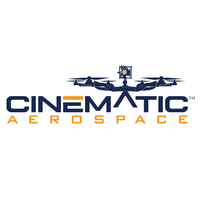 Cinematic Aerospace offers a large variety of standard and customized solutions for any aerial cinematography or UAS need, however, focuses mainly on Motion Picture and Television Industries. The company views every job as a unique challenge that requires the utmost attention and care to ensure its success. Cinematic Aerospace’s edge is in its team of extremely experienced, intelligent, and well-connected management and artistic personnel and pilots.